Thank you Wags Rescue for the best pups ever! My boyfriend and I adopted Johnnie and Jackson, formerly McRib and Big Mac. Their parents were abandoned and left to starve, when their owners moved. There were 9 puppies of which 3 survived. When we found them, their sibling was already adopted. It was never a question of which one we would adopt, we knew we were taking both home right away. We think they are Shar pei and lab mixes. Johnnie's "up ears" make us wonder what else is in that mix. At 8 months old, they weigh about 55 and 60 lbs. They are incredible dogs who we take with us everywhere. They enjoy hiking and swimming. They are very well behaved, probably because of the amount of walking that we do. We took them on a cross country road trip which everyone enjoyed. 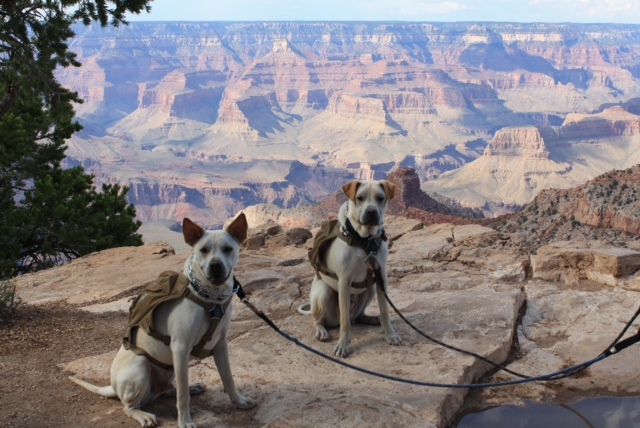 The pups got to pee on so many states and hike so many trails. They love all dogs and people that they meet. 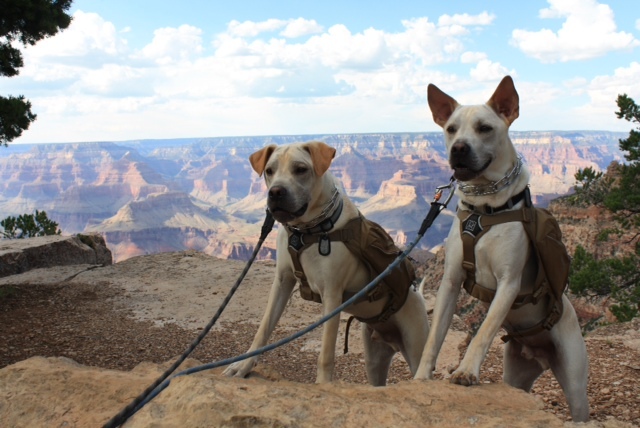 They have been to more states, national parks, state parks, and beaches than most people. We are so happy that we had the opportunity to adopt them. Thank you again for bringing Johnnie and Jackson into our family.